It is DEBUG 64-bit version!!!! I like that you are putting dates in the filenames. Saves me having to do it when I save the file. By the way, the only thing I have left in AppInit_DLLs is UxTSB64/32.dll now. I may have lost track as I've been busy with work lately... Have you already made a non AppInit_DLLs test version of the UxTSB DLLs? Could you verify that it is fixed now? It will probably need restart after install/uninstall. I recently installed Aeroglass on my 32 bit machine. Is there a modernframe.dll available for 32 bit? Can't find any info. Not that I know of - not yet anyway. What's available is just what's on the download page. Out of curiosity, and unrelated to ModernFrame, what makes you prefer a 32 bit system over a 64 bit system? Thanks for the reply...I didn't think so...wasn't sure if I had missed something. Not really a preference...just an older machine but it is still quite useful for me for some things. I also have 2 other machines that are 64 bit. Second sentence off-topic!<--a joke! Actually, I've never seen modernframe on the download page (am I missing it?). Always had to look through the thread about it to see what's going on, if anything. 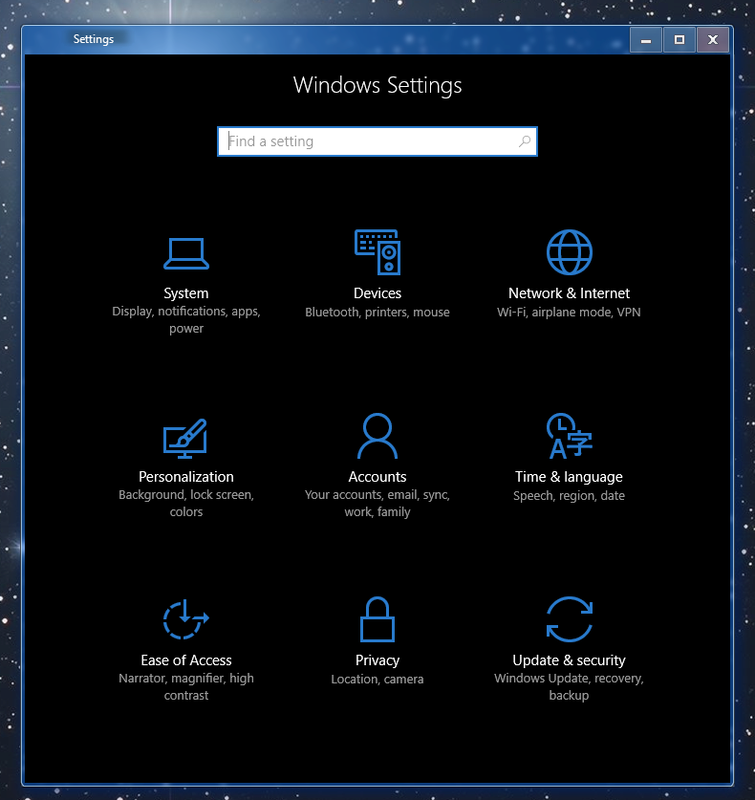 ModernFrame is not on the download page, because it is not the official part of Aero Glass. Correct me if I'm wrong, Big Muscle, and not to be picky but I thought you included ModernFrame.dll in one of the Aero Glass releases at some point in the past. As I recall it was delivered with an installer-based release but not included in the manual download file. And of course there is the Experimental Versions download page where some things show up sometimes (and sometimes even more once we've logged-in). That said, there's nothing there now. Anyway, it's pretty cool that you've found a way to inject the DLL without using AppInit_DLLs. Are you thinking of trying to go that route with UxTSB as well? It's already possible to have a system that passes an SFC check (thank you for that), but it would be quite slick if it didn't log any warning at startup about AppInit_DLLs being loaded. 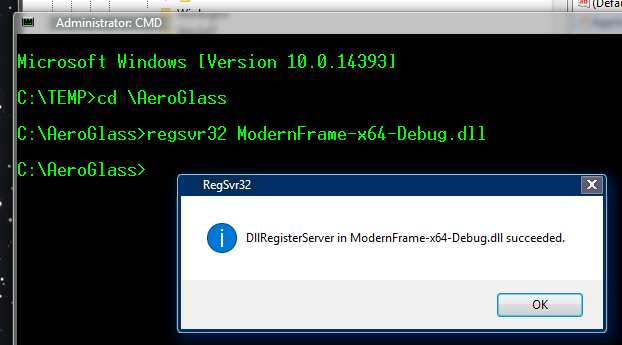 This new ModernFrame.dll does something around using COM interfaces to get the job done, hence the need to register it using regsvr32. There is a new experimental build posted under UxTheme Signature Bypass thread, the aerohost.exe process injects the UxTSB.dll into explorer.exe and winlogon.exe. Though with the old method, we also had 32-bit UxTSB.dll injected, which supposedly helps some 32-bit theme related applications to work correctly in combination with a custom theme. Personally, I don't know any such app so I have no clue how much of a drawback that fact is. Thanks. I had an inkling that I may have missed an experimental UxTSB change, which is why I asked. You're welcome. Must be why you haven't noticed the bug that happens when you log off. My RAM sticks are OK this time so I hope I'm not the only one that gets it. On the other hand, as BM said, the current way is hacky anyway so it'll be removed. 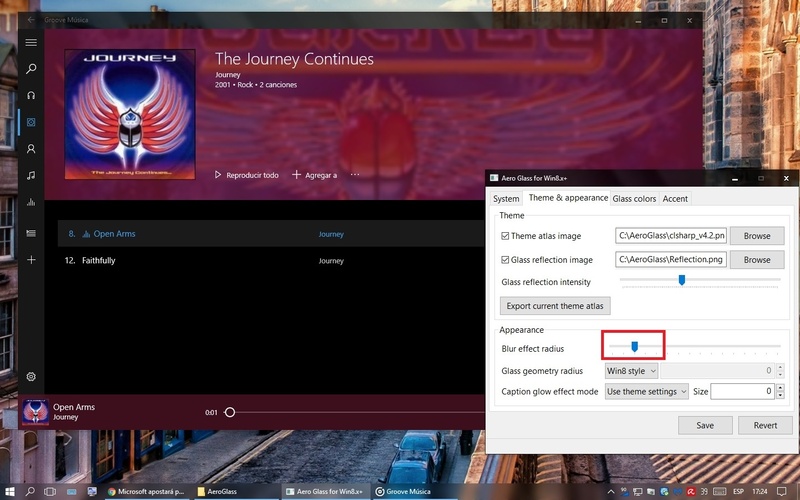 Edit: after completely uninstall Aeroglass, I realized that the lag in start menu and Windows animation is not caused by the program, it is caused for the new view of the album covers in Groove after a recent update, when I use AeroglassGUI to reduce the blur in the album covers to zero, the lag decreases completely, definitely is a problem of the application and not of Aeroglass. I don't use Groove app, so I didn't even know that there is some blur effect. But about the performance, I can say that the blurred accent (= the default blur effect available in Win10 without my AG) is very poorly optimized, e.g. 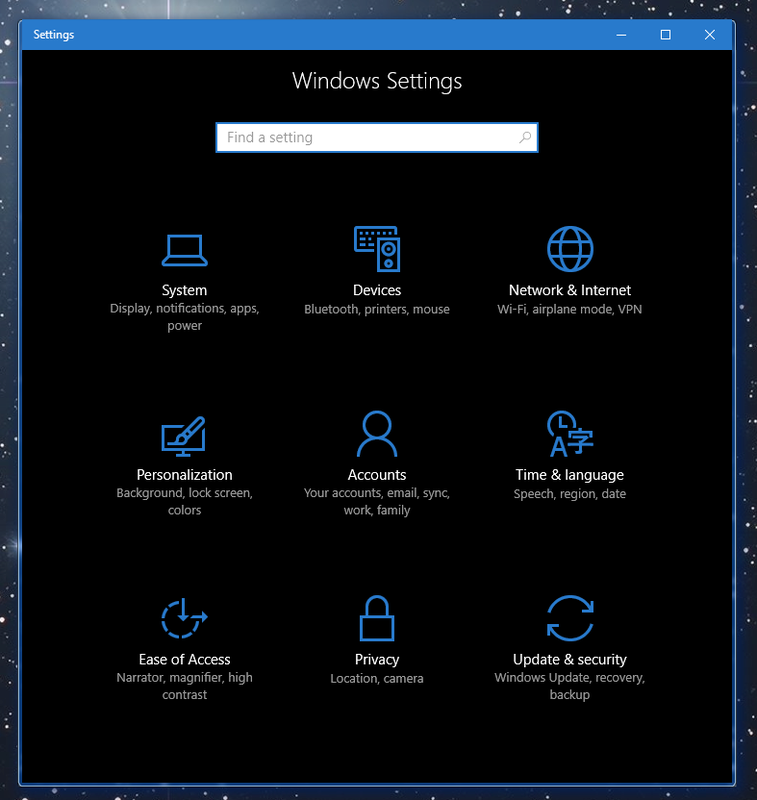 if you enable it on the taskbar, it becomes very laggy when you move windows behind it. This ModernFrame-2016-10-22.7z Arbeitet ein 351.